If you and your team love a name, but can’t get the .com, consider using a modifier like go, get, my, hq, app, the, etc. We hope you found our naming guide insightful and even learned a thing or two along the way. If you have any feedback (positive or negative), feel free to drop us a comment below or shoot me an email adam@rewindandcapture.com and I’d be happy to chat. If you’d like help coming up with a brand name, you can request a call with me on Clarity or if you are trying to shortlist your shortlist of names, run it through our naming tool to see how each names scores. Lastly, thanks to all those that helped me piece this naming guide together (you know who you are!) and special thanks to Annelise Schoups and Eli Altman for directly contributing. 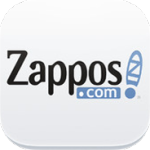 Why is it Called Zappos? Originally called shoesite.com, the name Zappos is commonly thought to be derived from the word “zap,” however it’s actually a catchy variation of the spanish word for shoes: “Zapatos.” They intentionally didn’t call it “zapatos” because their vision was much larger than just becoming the largest online shoe retailer. If you already own the .com, we recommend buying other extensions like .net, .biz and .co just so domain squatters don’t beat you to the punch. And maybe just as important, make sure you set up auto renew with your domain registrar.